CHICAGO (WOMENSENEWS)–With Richard M. Daley stepping down after 22 years in office, Tuesday’s election promised to be the first competitive mayoral contest in years, with Chicago voters having a viable female candidate among their choices. Rahm Emanuel, who left his post as President Barack Obama’s chief of staff to run for mayor, has led in both polls and fundraising throughout the race. Until recently, however, Carol Moseley Braun–the only woman and only African American among the four remaining major candidates–looked poised to force a potential runoff. If Emanuel gets less than 50 percent on Feb. 22, he will face only the second-place finisher on April 5. 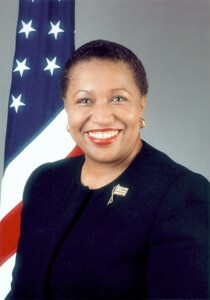 In 1992 Moseley Braun became the first African American woman to win a Senate seat when she became Illinois’ junior senator. She later served as the U.S. ambassador to New Zealand and Samoa before starting a Chicago-based organic food company. She was in prime position to force a runoff as 2011 began. Just before the New Year, two prominent African American candidates–U.S. Rep. Danny Davis and State Sen. James Meeks–dropped out and endorsed Moseley Braun as a consensus black candidate. A Chicago Tribune poll conducted Jan. 15-19 found her drawing about 21 percent of the vote compared to Emanuel’s 44 percent and 16 percent for Gerry Chico, Daley’s former chief of staff. Over the past few weeks, however, Moseley Braun has seen her backing drop dramatically after problems on the campaign trail and with fundraising. A poll of more than 2,500 voters released Feb. 13 found her support falling below 10 percent, with Chico around 20 and Emanuel around 60 percent. That likely reflects a high-profile incident at a Jan. 30 debate, where Moseley Braun made a derogatory comment about a minor candidate (saying she was “strung out on crack”). Moseley Braun apologized the next day, but the comment dominated the news cycle. Emanuel’s fundraising dominance has also been apparent in a steady stream of local TV ads. The most recent funding data, released Jan. 21, showed Emanuel having raised $11.7 million, about $8 million more than the rest of the field combined. Emanuel has also been able to poll well among all demographics. “A lot of people assumed that Carol Moseley Braun would gain large support among women or in the African American community, and clearly that isn’t happening,” said Gregg Durham of We Ask America, which has conducted polling throughout the race and does not work for any candidate. In a city where Harold Washington, Chicago’s first black mayor, famously received 99 percent of the African American vote in 1983, the new poll showed Emanuel drawing 70 percent of the black vote, with Moseley Braun a distant second at 16 percent. Among women, Emanuel had about two-thirds of the vote, with Moseley Braun in third place. Emanuel leads among every age and ethnicity and his support appears to have increased in the election’s final weeks. While Obama has refrained from endorsing a candidate, his former chief of staff has run television ads with footage of the president praising him and President Bill Clinton has stumped for Emanuel at Chicago events. All this leaves Jane Byrne–who won one term in 1979 and is now retired–likely to remain the only woman elected mayor of Chicago. Nationwide, however, voters have been electing women as mayors at a relatively consistent rate. Since 1990, according to the Center for Women in American Politics at Rutgers University in New Brunswick, N.J., women have made up between 16.1 and 21 percent of big-city mayors, up from 11.4 percent in 1988. Among cities with a population of at least 30,000, 204 had a female mayor in 2010, the highest tally of women in that category. That’s also 17.6 percent, a tiny bit higher than the percentage of women in the United States Senate or House, both exactly 17 percent. Houston is the largest city where a woman–Annise Parker–currently serves as mayor. Baltimore, Fresno, Calif., and Tampa, Fla., also have female mayors. Only two women of color currently lead big cities. Baltimore’s Stephanie Rawlings-Blake took over in 2010. Jean Quan of Oakland, Calif., became the first Asian American female city mayor when she was inaugurated in January.